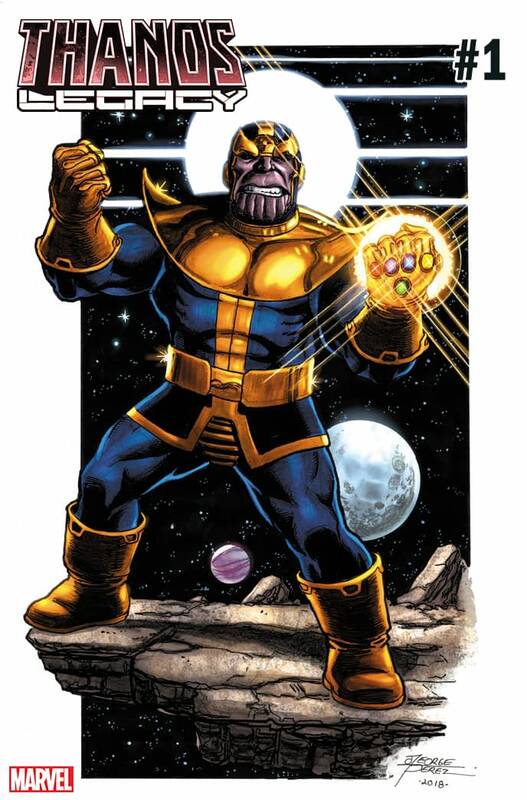 Some might look at the variant below and imagine Thanos is clutching his fists in rage at the universe, but personally, we see him as captured mid-motion while dancing the night away in a cosmic-themed disco. Your mileage may vary. The interpretation is up to you, but this variant cover will be in stores on September 5th.